While the Total War series does have real time strategy elements to it we also know it has a turn based foundation. Despite this I think one of my favorite aspect of it’s campaign is the sense of permanency to my decisions, if I lose a major battle I could potentially lose a large swath of my kingdom and a big win could turn the tide of a theater of war. Back playing Rome: Total War in the early 2000’s I wished other real time strategy games could try and capture that sense of impact your decisions make. Today I want to look at this topic a bit, both the history and potential for seeing more of it in the future. I want to state that obviously this is a discussion of the single player angle of the game since most of these suggestions would lead an imbalanced multiplayer. One of the best ways the real time strategy genre has grown and developed over the past decade has been from taking an aspect from other games, tweaking it and then applying it to their game. We see MOBA aspects being drawn into RTS games more and more, level design is taking a page from turn based strategy games and we see shifts in resource models as well. Today I want to discuss how the RTS genre can learn from two sources, the Total War series and the Fire Emblem series. For those who don’t know Fire Emblem is a turn based, grid RPG strategy game where you control a band of adventures who level up and do battle on a grid battle field where they jocky for position and try to defeat their opponents units. But today I want to focus on one facet, that of permanent death. In traditional RPG’s players can revive characters who fall in battle and afterwards but in the Fire Emblem series if someone dies, there is no coming back. I have had many fits of rage losing my favorite character due to a tactical mistake I made and knowing they won’t come back. Now permanency of death isn’t meaningful in a vacuum, you need to care for your characters. If they are faceless, replaceable pawns their death is meaningless, they need personality and a chance to grow on you. This is tricky during in game battles because in most cases you are going to lose units no matter what, even games where units have high health and you can heal them like the Company of Heroes series, but what we can do is our decisions in battle impacting what happens outside of battle. Let’s look at an example of how an RTS has done this in the past. In Starcraft 2: Wings of Liberty there are a number of instances where players have to choose between two options and those decisions may alter what upgrades or units you get but one decision puts a main character on the line. Early in the game your team picks up a group of refugees and their leader, doctor Ariel Hanson, afterwards you go through a number of missions trying to defend and then find these people a home. During this time you interact a great deal with doctor Hanson and put a lot of time in with these people. About half way through the game you find them a home but also discover the refugees may be infected with a Zerg virus and another race, the Protoss, arrive and say that you either need to destroy the refugees to contain the virus or they will. Doctor Hanson says that if you can defend her people from the Protoss long enough she can find a cure. Depending on your choice you have a huge swing in unit upgrades and what characters stay with you and whether some die or not. If you choose to side with the Protoss and destroy the refugees, who are transforming due to the virus, you end up destroying helpless people along with the infected but also after the battle you go the doctor Hanson’s lab and find she has been infected as well and are forced to kill her. You are rewarded with advanced Protoss technology which helps you advance your army though. 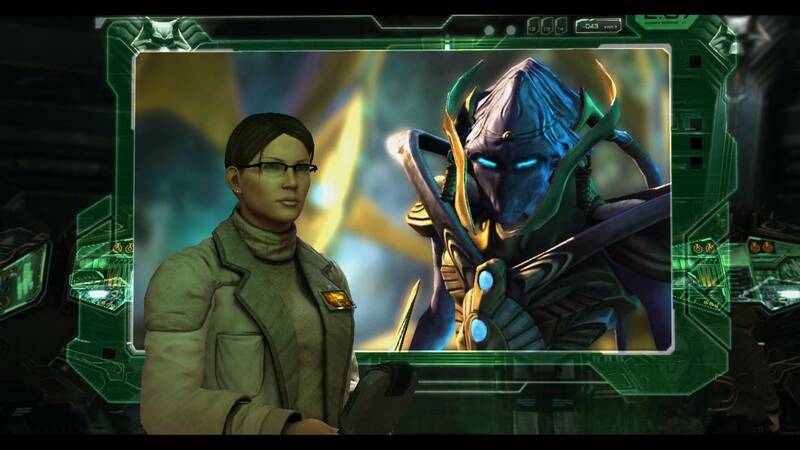 If you chose to defend the infected from the Protoss we find that doctor Hanson is able to find a cure and both she and her people are saved and have a new home. The downside is the Protoss are not happy and you lose access to that potential technology. This a is good example of inserting a character into the story, giving you time to get to know them and then presenting a choice to side with or against them with meaningful consequences. There is actually another example of this in Wings of Liberty but I won’t go into that one. We see similar things in the Total War series with our generals and certain units as they gain experience, while they may not have this level of intimacy you can get attached to them. Let’s move on to the second aspect that the Total War series and Fire Emblem have that I think real time strategy games could benefit from, scarcity of units. Fire Emblem has a limited number of characters, if one dies you don’t get a free replacement, you are just short a unit for the rest of the game. While the Total War series doesn’t have that in the extreme sense between town population and the long time it takes to field a large army if you lose a significant battle it’s not easy to resupply and reinforce. 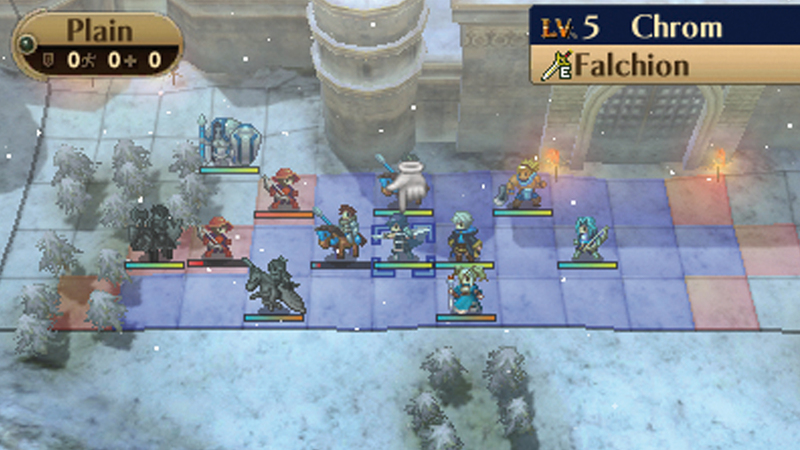 Even healing or merging injured units lowers their veterancy. This sense of fear of losing gives weight to battles, makes you sweat a bit more, makes you weight your decision making. 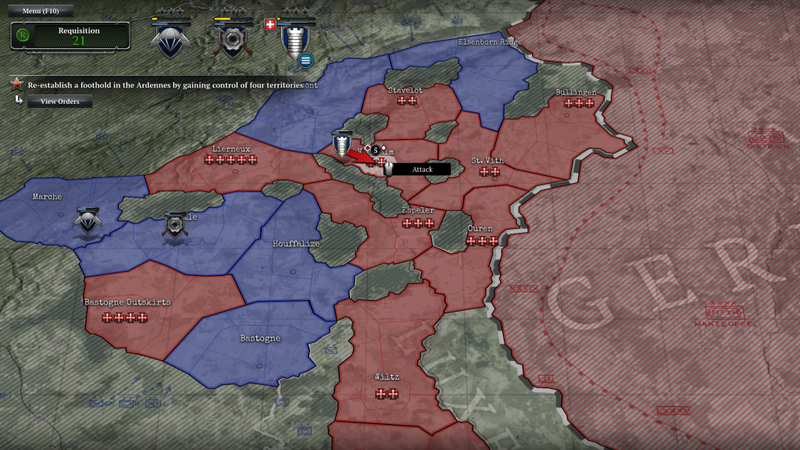 Now luckily we have an example of this in the recent release of Company of Heroes 2: Ardennes Assault mode where you choose three armies and are giving a map to conquer. You are free to navigate the map but each decision you make matters a great deal as your armies have limited troops (manpower). Let’s look at the map below, moving through enemy territory (the red zones) costs your army manpower. If you defeat an enemy army (the German Crosses on the map, the more crosses the larger the army) their troops will try and retreat through red territory so surrounding an enemy force before engaging (as we see with the town in the south west Bastongne Outskirts) can stop those troops from reinforcing other armies as they retreat. We also know that as you lose troops in each battle your overall army strength drops and you’ll even hear warnings from your commanders in battle as your strength drops. On the flip side as you kill enemy units you gain experience outside of battle as well which improves your starting forces in each battle and allows you to upgrade your troops. As in the Total War series if you can choose to reinforce weakened armies outside of battle but it comes as the cost of experience and potential upgrades, so it must be done with caution. This whole mode is about choice and consequence and the impact of good or bad decisions can have on you. We also saw a lesser version of how previous battles impact you in latter missions. In the first Company of Heroes for example of you played multiple missions on the same map what you did in the first would impact the later missions. Destroy a church with a sniper while attacking a town, a mission later and you need to defend that town, no church to garrison your troops in. These map persistent effects are nice and can showcase how to reuse maps if your campaign needs to. Our last idea is actually used in both Wings of Liberty and Ardennes Assault, that of upgrades outside of battle, purchased with limited currency and which have a big impact in battle. In Wings of Liberty as you complete missions or accomplish side objectives you gain currency which can be used upgrade unit health or maybe their range, each unit having different ways to be improved. We see similar things in the Ardennes Assault, completion of main and adjacent objectives you gain points you can spend to improve the unique powers each general possess, whether it’s doubling the planes in an air strike to adding additional guns to reinforcements. In both games these upgrades are quite meaningful and the currency you are collecting is valuable since it can change the way you fight in a given mission or to shore up weakened aspects of your army. Real time strategy games are learning and improving, especially in the past 5 or 10 years, learning from other games and genres to take their single player aspects to greater heights. This site has discussed single player aspects of real time strategy games a lot recently. I have discussed how to build single player aspects into a game as well as how to make mission design more engaging. Wayward has looked at building a more robust RTS game, the idea that RTS games need more iconic characters and factions, and what we can learn from the Dune series. I have a lot of hope for the future of real time strategy games, especially with the release line up of the next year or so, I just hope as these developers test and refine their single player components, they remember that decisions that carry weight make them count. Now as always, if something isn’t fun it is being taken too far. Some who reviewed Ardennes Assault felt it was a bit harsh on mistakes and while I don’t know their skill level but if it was from a person who may not be exceptional at Company of Heroes 2 I can understand the viewpoint. When finding the balance between impactful decisions and fun, always error on the side of fun, but let’s not forget that sometimes loss or victory should come with a little weight. Have you ever heard of or played Earth 2150? It was the first RTS title I ever encountered that did this, and it did so in a very unique way. You actually had a “Home base” from the very start of the game, and as you were assigned missions in the campaign, you would ship units to the front (the mission) via transports and then take on whatever your mission was. But at any time you could tap the tab key and switch back to your home base, which was always running in real time. Persistent research (and, depending on how built up you wanted your FOB to be) and production could happen there, in time with the mission. After each mission you’d usually scour the map for any and all resources, because the game made it very clear in the menus that there were not enough over the total of the campaign to research everything … and you still had to build and repair units on top of that. Even so, it was a unique idea. As the campaign progressed, your main base could come under attack as well, sometimes in reaction to a mission you were still in the middle of. One campaign even ended by expanding the map around the main base as you finished developing the superweapon that was the goal of the campaign, revealing multiple last-ditch attackers trying to stop you, and you got to hold that base you’d built over the course of the campaign while finishing the superweapon and using it to strike out. Again, very early, but a very novel concept (one of many that game had) that would be wonderful to revisit. Outpost 2; Divided Destiny did a similar method of progression as well, with colonists and research carrying over from mission to mission (and I’m still waiting for a modern incarnation of that glorious game). Though I do agree it’s a good example and a very good game thanks for bringing it up, it deserves to be discussed, even if it’s in the comments section so thanks! The game puts Starcraft 2’s pitiful attempt at branching to such a massive shame it’s not even funny. It’s 9 years older, has a budget of a homework in comparison to a multi-billion project like the Wings of Liberty campaign and it still delivers in spades in both campaigns as far as persistency is concerned. Side objectives have consequences, eqch character’s death impacts the missions down the line as well as even change some other stuff around too (say, the character won’t be able to give you advice later on). To top it off, it also presents the player with tons of options throughout the game which are pretty dynamic. You can choose to execute or interrogate a prisoner. You get a certain bonus if you succeed in having him as a PoV but if you leave the building he’s being held in unguarded, he’ll try to make a run for it. Later on in the game you also get a chance to spare a neutral merchant who will later show up to give you some special tech for the mission but if you happen to not have enough resources, he’ll just leave the map and you’ll have to finish the mission without the potential benefit said weapons offer. There’s even a choice between going through with the actual mission or not at the very beginning of the game. If you decide to step down (and the character already has a good reason for it), you are actually presented with an actual ending going through with your choice. You can also make a mission infinitely easier by simply following through with the original objective but if you choose to delay, you’ll get a different start to the next mission, reflecting both the gear you took with yourself as well as the fact you left our forces hanging for a bit longer. Sacrifice is another great example of a branching campaign done right but in that game’s case it’s much more about the replayability than affecting the story or gameplay that much (at the start of every mission, you get to choose to help one of the 5 gods, each of whom adds his own units and a spell to your repertoire but while it pleases him, it also diminishes your chances of later cooperation with the other gods if they aren’t allied to him/her). I always found XCOM (the Long War even more so) to have managed the unit value really high. Both narrativelly and mechanically it puts a high pressure on you to keep your best ranked soldiers alive, which can only happen in the heat of battle, and rookies die like flies (so either they will be cannon fodder or your last hope). Its always painful when your first commander unit dies. That said, I think it works because of the overall scarcity of resources, be it personnel, credits, materials, time (due to the arms race) and the controlled pace. I think such dramatism benefits from a separated macro layer, where quite a few critical limited choices must be made prior to getting into action. My problem with starcraft 2 is that there was quite the abundancy and the choices were just llike customizing a playstyle rather than making actual strategic missions. All new research and upgrades occur immediately at no consequence.